One doesn’t need to go too far to observe examples of conspicuous consumption in our society. Fashion designer clothes are not a necessity; they serve the purpose to show that the person who wears them affords them and has a certain social status. Diamonds or jewelry in the broader sense, are other Veblen goods and so are high-end watches. 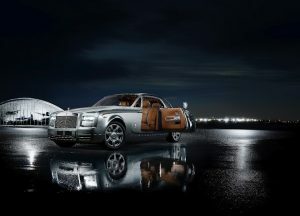 One of the most cited Veblen goods are luxurious cars like Rolls Royce or Bentley. 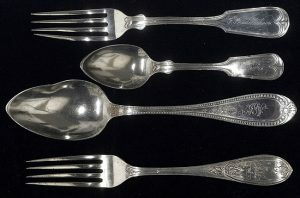 Silverware is another example of conspicuous consumption. There is no added benefit of eating with a silver spoon. Besides that, taking care of the silverware is time consuming too as it requires regular polishing. The fact that they are used mainly when guests arrive shows that they are an item, whose main purpose is to show others the status of the owner. But we could argue that fashion designer clothes may be a need in some cases or that luxurious cars have some functions that other regular cars don’t. However, the “I am Rich” app was an app distributed on iOS that had no real purpose other than showing that the owner was able to purchase it. The app cost $999.99 and in one day 8 apps were sold (6 in the US and 2 in Europe). The app did not have any practical utility; it just showed a red ruby that displayed a message when pressed. 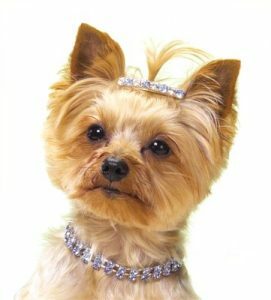 Pet jewelries are another example of conspicuous consumption. Pets do not have any utility in wearing a diamond. An expensive pet jewelry is only used to show others that the owner of the pet can afford to buy it. 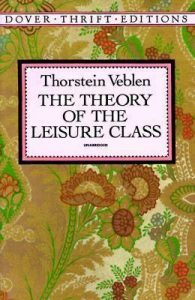 The list of Veblen goods could continue indefinitely, and if you have other examples, list them below.